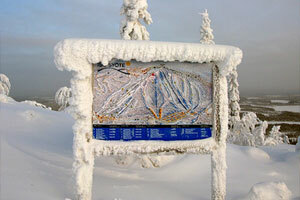 The bosom of nature (Syöte national park featured)...more than 200 days of annual skiing...totally reliable year-round airport access and a brand-new family friendly air terminal. 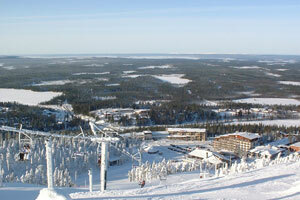 Ruka – one of several superb and unspoilt ski resorts where you ski right to your door. This district offers an astonishing 200 skiing days from October to May – and often later! 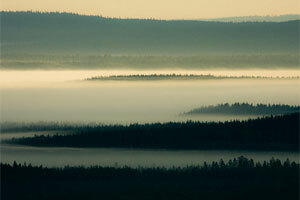 But the biggest attraction is the nature - Kuusamo Lapland offers an expanse of wilderness unrivalled within Europe spanning five national parks. 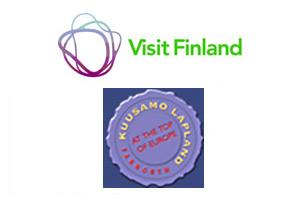 Kuusamo Lapland – exciting location at the Arctic Circle and near the Russian border, world-class quality tourist services and facilities within the heart of breathtakingly beautiful nature and wilderness. 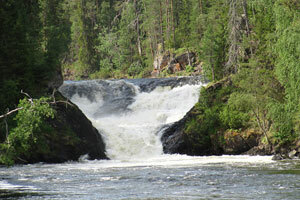 The biggest attraction is the nature; Kuusamo Lapland is the last area in Europe that has untouched wilderness with five national parks. 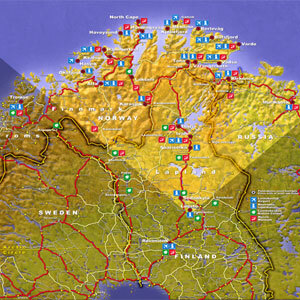 Snow guarantee in winter and midnight sun in summer are exciting for everyone. The region’s economy is based on travel and tourism, wood processing, industrial food production, metal industry and ICT industry. 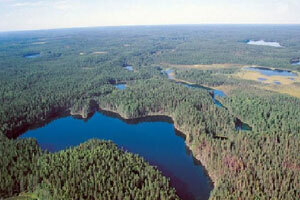 Kuusamo region is the commercial centre of an economic zone of some 30,000 inhabitants. 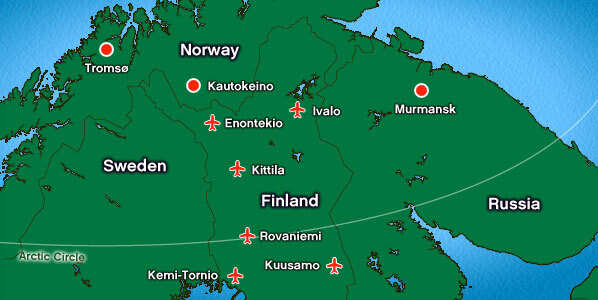 The Kuusamo (Lapland) region serves as a north-eastern gateway between the EU and Russia; there are two official border crossing stations to Russia (Kuusamo and Salla). Great natural assets – Europe’s biggest expanse of beauty is backed by these organisations keen to contribute to your route development and make it successful. 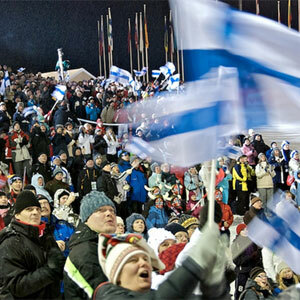 Ski jumping in Kuusamo, just 7km from the airport – a there are nine other superb resorts in the immediate catchment. 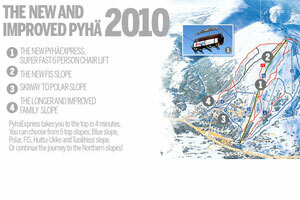 One of the airport’s nearest resorts – Ruka – has invested €8 million in new facilities for the 2010-2011 season including a new ultra-fast six-seater bubble chair lift, called PyhäExpress, is to be opened at the Polar slope at the beginning of season 2010-2011 – 50% less time on the lift means 50% more skiing! New demand has also led to significant new hotel construction in the village. 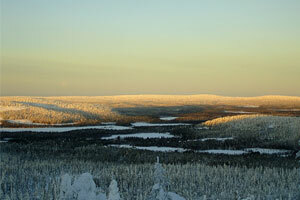 Airport bus between Kuusamo Airport-Kuusamo town-Ruka- Salla. 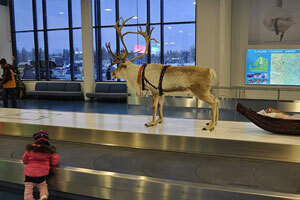 Terminals (Number, type and last major refurbishment): 1 International passenger terminal. 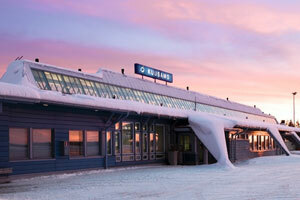 New terminal opened May 2010.